Healthy gums should be pale pink, smooth, and fit your teeth firmly, just like a turtleneck jumper fits your neck. Gum disease is the bacterial infection of the gums. It is the most common cause of tooth loss among adults and if untreated it can lead to life-threatening diseases. At A Plus Dental, anything that compromises your oral health and general wellbeing is given immediate attention. Our comprehensive treatments offer relief and long lasting solutions to dental problems. Gum disease can only be properly diagnosed by a dentist. 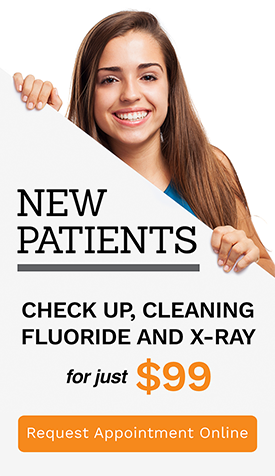 See your A Plus Dental dentist for a general check up today! Gingivitis – This is the first stage of gum disease. Unremoved plaque produces toxins, which irritate the gingiva, the part of the gum around the base of the teeth. Gingivitis causes the gums to easily bleed during brushing and flossing. The gums also become swollen and are dusky red. This stage can be treated. Periodontitis – This stage of gum disease is when the bone that holds your teeth becomes irreversibly damaged. Pockets form under the gumline, which then traps food and plaque. The gums recede exposing the roots of the teeth. Immediate attention is necessary to manage this stage and prevent further damage. Advanced periodontitis – This is the final stage of gum disease and cannot be treated. The bone holding the teeth is severely damaged at this point, so that it may visibly appear in the mouth. The teeth shift and loosen affecting your bite capacity, leading to eventual tooth loss. 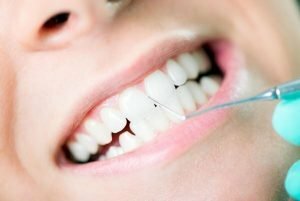 What happens to untreated gum disease? Untreated, gum disease can cause tooth sensitivity, bad breath, bite difficulty, and eventual tooth loss. There are also studies, which show links between gum disease and heart and lung disease. Oral bacteria can travel via the bloodstream towards these organs. Below are the common causes of gum disease. Treatment is effective in the early stage of gum disease. If it has already progressed to periodontitis, your dentist can only help you manage and stop further damage. The best treatment for gum disease is prevention. Good oral hygiene and regular visits to your dentist can stop the development of gum disease. If you already have gum disease, we recommend a deep cleaning. This involves cleaning the teeth including the pockets below the gumline. Strict oral hygiene instructions will be given as well. You will be advised to see your dentist more often for dental cleanings and for your dentist to monitor your progress. The best treatment against any oral problem is prevention. We encourage everyone to take advantage of our preventative dentistry services for healthier gums and overall optimum oral health.